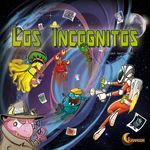 A bunch of games I need to at least look at (if not buy, if possible) at Essen Spiel 2013. 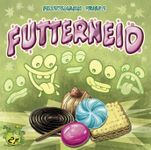 The final from Friedemann Friese's Friday Project? Full of candy and calories? Will have to run to pick this up! But The Witches appears to remove some of the issues I have with the other ones... It looks lighter, so should bring in players who have had less experience with games.. is semi-co-op, which to my mind means that it won't be as cut throat. 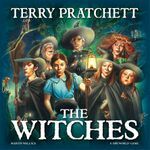 And my wife likes the witches in the books, so will be easier to get her to the table than it would with Guards! Guards! or Ankh Morpork. I loved Rampage (the video game) as a kid... and to some degree as an adult. There's just so much pleasure that can be derived from smashing down buildings and eating people. It just seems like silly fun and hopefully it is. Plus it let's my toddler say "rahhhr" a lot. I've kickstarted this game, but have chosen to have it delivered rather than do the Essen pickup (need to save room in the luggage). There appear to be so many potion making games at the moment, but this looks fairly cheap and may be a good one, if only because it sounds like the endgame is either based on the deck depleting or can happen if someone casts the big giant spell. Will have to try before I buy though. 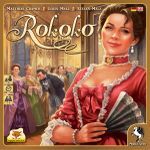 This is a deck-building, hand management, tile placing area control game set during the reign of Louis XV. You're a dress maker and you are trying to create and sell the best dresses for the lavish balls. It seems like an interesting concept (and afterwards you could always play Guillotine) and the theme seems like it could draw some different people in to deck building. Will be good to try. I do love a good city builder... and Suburbia is one that I love. But it's not necessarily for everyone and I'm happy to consider other ones that have different mechanics. This could be good... but I don't really know enough about it yet. We'll have to see how it plays. Based on the rules (I've skimmed them, but plan to read further) it's similar to Suburbia but with a focus on different tracks rather than just the population track. Using cards rather than tokens seems to make the game seem a bit lighter, easier to read and mean that cities will have less components (rather than have 20 hexes you'd have 8-10 cards). 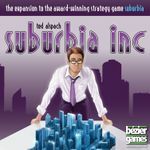 Maybe I'm wrong, but it might be a game that is lighter than Suburbia but can scratch a similar itch... I don't know that it would replace it. Requires more reading of the rules, but will want to try and play it if I can. Machi Koro seems like it's a much lighter and quicker city builder (although technically I suppose it's a company builder). Your aim is to build four landmarks in your town before any one else. The twist here is that you earn income based on a dice roll (so the dice face triggers certain buildings to produce income). Some buildings produce on anyone's turn, someone else's turn or on your turn. I can't really tell how well the different buildings interact or if there's enough depth there, but.. The game only goes for half an hour, so it might be a nice quick city builder (compared to Suburbia's 90 mins). The artwork is lovely (for some reason reminds me of Katamari Damacy's instruction manual), so depending on the gameplay could be a strong pick up. I do love a good city builder... and Suburbia is one that I love. So do I need the expansion yet? Probably not. I haven't played it quite enough that it needs something to freshen it up. But on the other hand it may one day.... I'll be interested in seeing what it brings to the table. There wasn't much of this at Gencon (IELLO have said this is because the prototype wasn't ready to show to the general public/press). But from the few that have seen it, appears to be a how fast can you roll dice (you can reroll as much as you want but everyone is rolling at the same time) in order to get dice that you can use to buy rides for your theme park. If you're the first to decide that your won't keep rolling your dice you get a bonus, the second person gets a slightly not as good bonus and so on. Will want to have a go at this one to see how well it'll roll. It's Zombies (don't really care), 15 year olds (not sure why that's important) in 15 minutes (woo!) with 15 scenarios. Strangely is for ages 14 and up... missed opportunity surely? Escape has been a big hit with everyone that's played it and I suspect that if the rules are simple enough, then Zombie 15 might be another game where we can be sure how long it will last. If it's also €15 I think we'll have to get it... Edit: It's not going to be released until 2014? 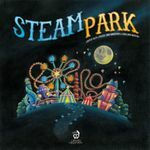 Thought this sounded a little ho-hum until I saw it at the BGG Gencon livestream. The concept here is that the entire game is based around a catch up mechanic. Thematicly you are trying to escape from a Gravity Well. The quick and dirty is you select a card from your hand (the cards range from A-Z) and each card allows you to move a certain distance. There's no turn order, cards are resolved in alphabetical order (so if blue plays a M and Red plays a J, then red get to go first). But the rub is that you'll move in the direction of the closest ship. 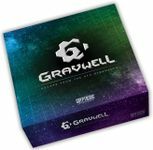 So it's possible that your big move to the exit might become a big move back towards the gravwell. There are a few special cards that have different actions.... Hopefully this plays out well because it's a very interesting concept. Sail to India is another in AEG's Big In Japan line (that includes Love Letter and Trains). Sail to India, unsuprisingly sees players attempting to sail to India (from Lisbon). This one is a 24 card game (plus some cubes). On your turn you have 2 action points to spend on movement, research, buying buildings, selling goods and so on. It seems like it provides a lot of depth in a small package... which is always good. I like coffee.... and this game is set in a coffee shop. So it picks up some browny points there. It's a deduction game where you have to work out where to sit your guests. I think you're trying to place them near VIPs like Trotzky, Klimt and Freud and presumably you want some of your people near specific ones. I have no idea how it works... but I'd like to see it and play it if I can. This wasn't on my radar until rahdo ran through it. 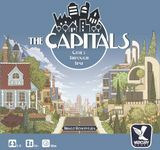 There will only be 1,000 copies at Essen... the game is another push your luck but with a board so that you've got some reason for pushing your luck. The only real issue with the game could be downtime. Might be a good two player with my wife though. I'll try and get a copy... I wonder if I'll be able to. This looked interesting when it was previewed in Nuremburg. It's in the visual style of Le Havre, but you're running a harbour and trying to unload boats to fulfil contracts. It'd be nice to see the solo play (or at least get a rundown of it). Will want to play it though to see how it plays out. The mechanic of building up the pyramid to give yourself actions is an interesting one but wether or not it makes for interesting gameplay is a different matter. Power Grid: Australia... oh yes.... There's been a lot of discussion about fan made Australian maps and it's always been complicated by the networks not being connected as in other countries. This seems like it could be a very different challenge. And the Indian map seems interesting as well. 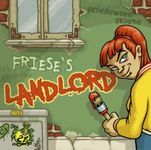 The original Landlord seems to be rated pretty low (5.91 at the moment). But the concept seems pretty interesting and I'll probably end up picking it up anyway. 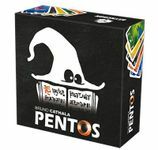 It seems highly interactive and much of the complaints around the original regarded the rules (which have been rewritten) the black and white cards (which are now full coloured) and lack of money (it now contains coins). It could be a winner.... but we'll see.